Delaware County History: Haverford Township new book!!! Hallissey!! Haverford Township new book!!! Hallissey!! Haverford Twp. 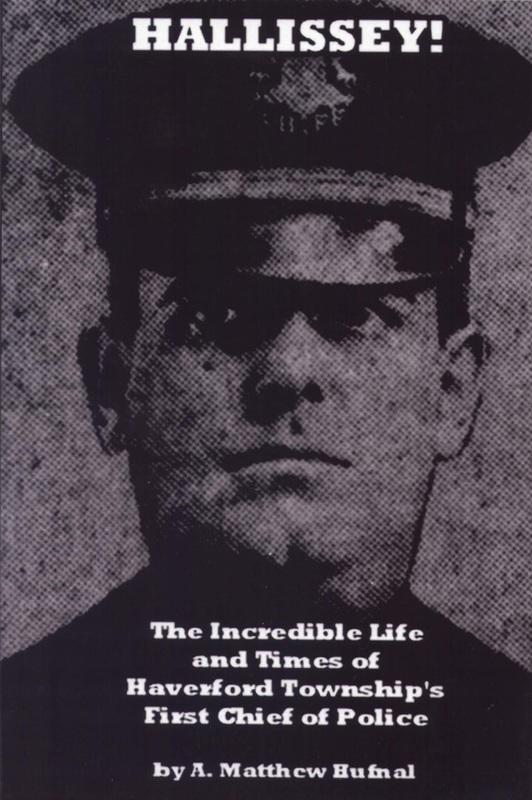 police officer, A. Matt Hufnal has written a new book on the start of the Haverford Police Department, the "fining mill" and their first police chief, Edward Hallissey. NOTE: Originally police departments thru out Delaware County started out as night watchmen, working 7pm to 7am patrolling on foot and being on call during the day. As full time police departments were first organized, all sorts of problems happened. Haverford was no exception. With the petitions for the nomination of the different local and county offices in Delaware County on file, the political instruments are being whetted, and keenly contested battles will be fought for the different offices. Haverford Township which came into the limelight several weeks ago by reason of the exposure made of the public “fining Mill” over which Justice of the Peace Robert Thomas, presided, assisted by Chief of Police Edward Hallisey, will have one of the hottest political battles in its history. Justice of the Peace Thomas has decided to try and succeed himself. He will find, however, opposition in the persons of Joseph L. Cunninghan, William M. Wiley and Christopher M. Knaple, all Republicans. The field is too large to defeat Thomas, but it is believed that at least two of the candidates will withdraw from the race which will make it hard for Thomas to win. So keen is the feeling in the township, that Commissioners George W. Deaves, Richard S. Dewees and Samuel H. Moore, who are up for re-election, will be opposed. The three commissioners who are candidates for re-election are said to have given the police department of Haverford a clean bill of health. Their opponents are: George F. McMonagle, John V. Speth, a widely-known builder and contractor, and William J. Flemming. Constables William E. Thompson and John Graham are out to succeed themselves. They be opposed by Henry Gibson, James Ray. The candidates for school director are: Herbert H. Fairbanks and Arthur E. Garwood. William B. Dunwoody and G. Howard Leedom will have a keen race for township treasurer.